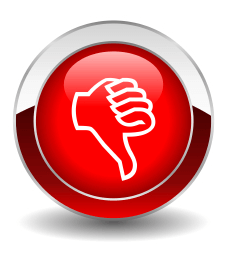 Empower Network – The Worst MLM Scam there is? Empower Network is online Multi Level Marketing company that was founded in 2011. They sell internet marketing tools & offer training to teach you how to make money online. More precisely, Empower Network offers blogging platform as well as series of digital products to teach people how to become internet marketers. Despite the fact of “selling” the products to you at the same time they retain ownership of everything, every single product. 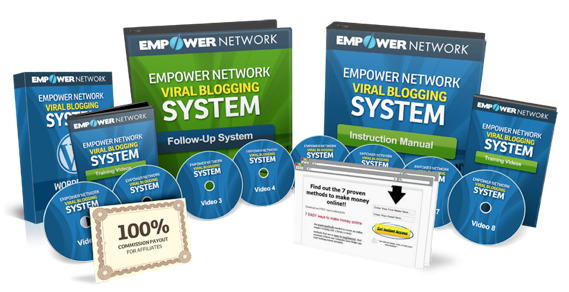 Basically, you’re using Empower Network blogging system within their own network to refer other people to buy the same products you are currently using to do the promoting. You have to buy their products in order to sell their products. It really is another typical MLM – You pay low price to enter & through multiple expensive upsells you get higher level of memberships “unlocked & revealed” that presumably makes you earn much bigger commissions. The biggest hype is about “make 100% commissions” label which is not entirely true. As a result there are a lot of complaints piled up against Empower Network. Couple of the reasons why has it happened I’m going to explain in detail..
Kalatu blogging platform – Blogging network to help you to start your MLM project. Those Pros are actually also Cons but why? Kalatu blogging platform – It’s designed to help you to get into “online marketing”, in this case into Multi Level Marketing.A blogging system, for $25 per month, that is similar yet inferior to WordPress which is completely FREE, incredibly versatile & available for everybody on internet.. This particular blogging platform they offer has very limited functions that can’t be altered & it’s purely built to promote Empower Network products only. It’s expensive yet has very little use for you. Compared to your WordPress account which would entirely belong to you, unfortunately..
..Empower Network will completely retain the ownership of their products: It means this blog won’t even belong to you, you’re simply renting it for certain period of time. How comfortable & secure does it make you feel that some complete stranger out there entirely owns your project? Online training, Audio libary – to cover the training part & to help you to make money online.”Make money by blogging” training which actually is not the case at all: It’s actually indirectly a guide to buy yourself deeper into their hype – It’s nothing more than a promotion of the product itself to “unlock” bigger commission levels for you. It’s very common tactic for many Multi Level Marketing programs out there, this is exactly how it usually goes – It’s with point on aesthetics & well made facade combined with Kalatu blogging system to hide their pyramid scheme. They give you with one hand, but take from you with two hands: The more you are following the “training” the more money you are going to lose. Once you get there, your “inability” to turn it all into profit will be pinned at you & translated as your own “laziness” or “not working hard enough” & not buying their products..
..it is used as ridiculous excuse why you’re earning very low or no profit at all. This is how this online “training” logic goes – You’re forced to buy Empower Network products in order to be able to promote these products, it’s the only way. 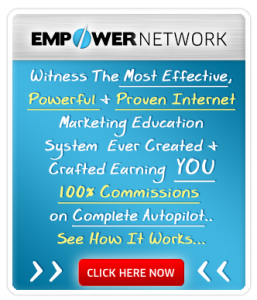 How much can you earn with Empower Network? Unfortunately, this is not surprising at all. In order to earn money from selling any of these products, you have to buy these products first. Every single one. If you don’t do that you simply won’t qualify for selling the products that you haven’t bought yourself..
..the profit you would be earning, once you have sold a product, will be taken from you: All of the commission will go to your upline, to the person who recruited you & is already qualified for selling that product. Basically, this means, if you want to start earning money in Empower Network, prepare yourself to spend thousands of dollars on upsells in order to simply get qualified to start selling these products yourself. Remember, buying a product from Empower Network has absolutely nothing to do with actual earning process itself yet! It doesn’t guarantee any earnings, it’s just a single small step to buy your way into qualified members area. This is how much money you have to be willing to give away in order to even get a chance at earning it all back, let alone turn it into profit. In other words, if you want to unlock Empower Network potential it costs you up to thousands: Empower Network requires very expensive investment, has no guarantees for making any profit & involves a great risk. There is no trial to join Empower Network. You have no chance to see if it’s something you like to do, or if it works at all. If you want to become a member you have to pay $25 per month fee up front. Remember, this is only the surface & basically the biggest hype area. This is the massive persuasion part where you see veteran marketers bragging about making millions. It serves as tool to lure you to buy their next level product. What about customers support in Empower Network? You can’t contact the owners which is pretty much direct hint itself in the first place – “Buy our products & go away, we don’t want anything to do with you personally”. You have to find a team that you can network with on your own to build business. Picking those teams is big gamble, people in those teams are obviously very different so are the teams. In some cases it’s ending up as a wild west scenario where everyone are doing everything in their power they can get away with. Empower Network is very similar to a lot regular MLM available online, so no surprise moment here. It’s purely a numbers game only, they don’t care if you succeed or fail. Unfortunately, statistics show that only 1% successfully makes money with Multi Level Marketing, vast majority of folks who join simply lose money & fail. Empower Network affiliates have actually suggested newcomers to borrow money..
..from relatives or friends, or to take a bank loan in order to qualify the Empower Network $5000 member level. This is simply outrageous even by most internet marketers standard. This is the direct example of what kind of ethics they tend to display..
You’ve most likely noticed Empower Network banners already. Yes, it says “Complete Autopilot..” on one of the Empower Network banners I’ve posted in this review. That’s instant red flag. Why? Nothing in this life is on autopilot..
..especially not online marketing where you have to keep your stuff always up to date. Everything needs maintenance once in a while, even the most advanced servers & that’s just reality. In short, what you’re seeing here is a marketing stunt specifically designed to target inexperienced, lazy or mentally weaker folks to take advantage of them. 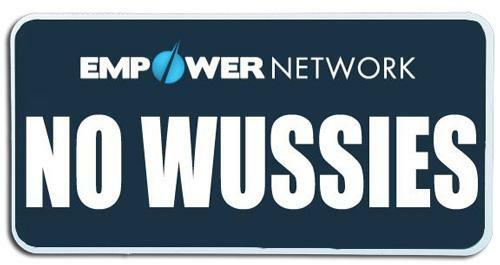 Here’s Empower Network slogan: “No wussies” type of banner is yet another example..
..how Empower Network tries to taunt & seduce inexperienced marketers & desperate folks to join into their business. People like you & me are being set up for failure who are simply looking for possible legit way to earn money online. They call you a WUSSIE if you’re not going all in & won’t buy all of their products. People who have spent thousands of dollars on Empower Network products have been thrown out of their community for no reason at all. Remember, Empower Network owns every single product & retains ownership even after selling the product to you. Kalatu blogging system belongs entirely to Empower Network, so in other words..
..they can ban your account at any time for any reason. They’re incredibly biased & suffer from strong brand loyalty – If you dare to criticize their system in any way, prepare to be next in this ban list. If you watched the video I linked, you know that one of the former members of Empower Network got banned from community by simply asking for refund. How ridiculous is that? If Empower Network feels threatened in any possible way, basically you can say goodbye to your blogging account & the large investment you’ve spent on it. It’s logical explanation why there are so many complaints against them. Is Empower Network Scam or not? To start things off the first thing you’re going to see there is testimonials from people who have made a lot of money by using their products. This is one of the typical MLM style pipe-dream type of introduction to Empower Network to get you signed up. Sadly, a lot of naive people still tend to fall for this “live your dream” card. Empower Network shamelessly targets inexperienced users to make a quick buck..
Profit wise, in most cases who could actually benefit from their services are some of the few very experienced MLM marketers only OR people with large following. As I’ve said in my other MLM reviews – It’s a big hype train all over the place.. They start selling products to you in order to teach you how to earn money online through their MLM promoting scheme which very likely, in reality, can turn into profit for less than 1% of users. This is & still remains as the cold hard truth. Empower Network is Multi Level Marketing scam. Do I recommend it? Absolutely not. Walk away from it! Why? It is absurdly expensive, plus there’s no real product nor clearly definable business model behind this program. Plain & simple. Other than blogging platform that Empower Network is offering to you..
..there are no practical nor particularly useful products you should waste your money on. Most of these products carry little value & are close to worthless to you. Ironically they also have absolutely nothing to do with earning money online: Their main function is “unlocking” higher membership levels within Empower Network in order to earn bigger commissions – MLM scheme through & through. On top of that, unfortunately, this blogging platform is designed to promote Empower Network itself only: You can use the page setup their system provides for you & nothing more – Kalatu blogging platform functionality is very limited. If you’re looking to start niche business or promote something other than Empower Network products over there, you’re in a very wrong place, this tool has little or no use for you. Empower Network offers you close to no support & since everybody is using Empower Network blog templates only, it has created a major problem – Their market is already over saturated. Its copy-paste blogs are all over the place. No wonder why many of the 1%-ers have already left the building & moved on to the next project. More experienced marketers already know this system is going to crash. In short words, you’re going to lose tremendous amount of money there & it’s very likely that you’ll never make a penny. You’ve come a long way, I’d like to help you out – To show you something that’s not a MLM with countless of upsells.. 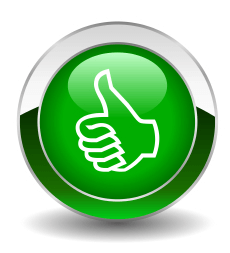 I hope you enjoyed reading my review & learned a lot about Empower Network along the way. Man, this company has deceived so many people and delivered little results.Heard recently that Dave Woodward had to go into rehab because of drug issues and that the company is going into bankruptcy. I won’t be surprised if this guy opens get rich quick scheme where he charges thousands to listen to is BS.The MLM indsutry needs to be regulated more,too many people lose money and nothing is done about it. Arrgh are these still in business? They got listed and charged about 2 years ago and initially closed down (one of the owners even did a runner leaving the other owner right in it!). Anything to do with this lot will always be a scam – if it has the empower name on it it is worthless to you and everyone else out there! Plus, there are also many “new companies” out there that are actually the same old companies, simply operating under new name. Their schemes are almost always the same if you keep looking closely. New label get slapped on the “product” & it’s ready to be released as new marketing campaign..
Don’t let them fool you by new name OR the fact that some of them seems to be “closed down”. Hi there, thank you for this very in depth review of the Empower network. I have to agree that although there are areas of this system that I believe have elements of truth, this system is a very nasty scam. The fact that some people are taking out bank loans and getting into debt with credit cards to fund this system is quite sad. As you rightly point out, even the basic blogging system on the empower network holds its costumers to ransom as even the blog that they create through this system is not fully within the members control and doesn’t actually belong to them. The fact that the upsell’s for this system go into multiple thousands of dollars surely means that it’s time for someone to take action against these scam artists? I think there needs to be stronger action taken and more investigations into these people! Couldn’t agree more.. Yes, someone should take action against scam artists such as these. Unfortunately, they can & keep operating freely since there are some gaps in the law. They will build it exactly the way it looks good on paper & that’s all they ever need. The rest of the deal is just creativity that causes impact which always results in casualties.. Thanks for taking your time to share your thoughts. Appreciate the honest review. It’s easy to get sucked into ‘Empower Networks’ marketing strategies. I know what you mean by how a lot of affiliates for these guys recommend taking out bank loans in order to be apart of their group. Are they crazy!, no integrating what so ever. Would love to see more honest reviews like these mate! That taking “bank loans” part seems like a new low. I’m going to keep posting the ones I find. Great job on your review. So much information on this company that is very convincing. You might want to go over you text and clean up some of the typo’s. Great use of media. I did find myself at times skimming though the text because it is very long. Do you think it is possible to condense some of your copy? Other than that, great job. That’s a very good point – A lot of people online use english as secondary language, so do I. The general message is already there, which is the most important part, but it never hurts to make things a bit better. Yes, you can use my ideas if you mean that. After all, that’s why I’m here – to help you & to increase the overall scam awareness. This is one very detailed review. I think you are doing a great job by warning people about suchlike scams. It is really, really sad that suchlike things are happening online and even more sad that there are people falling into these scams. I have joined Wealthy Affiliate more than half a year ago. And I can just recommend this platform due to lots of valuable trainings and courses. Besides that, WA community is great – whenever any problem, you get help and advises. The very core of scams is to mimic the legit thing – That’s why people fall for them. It’s always great to be able to tell the difference between quality product & a scam. We have Wealthy Affiliate so we can increase the scam awareness. Thanks for your support, stay safe! Man this is dangerous! You can read online of all the people who have signed up to this pyramid scheme and ended getting into so much debt. It’s a terrible place to be in – once you’ve put everything you have into it you’re forced to do anything you can to try and recoup some of your money back – including lying and manipulating people to sign up. Is this a real way to make money? I hope other people read this review before even thinking about joining empower network! Thanks for the work you’re doing to expose these scams and help people know the facts before making a mistake. Thanks, you’re pointing it out exactly as it is. Once you’ve joined & invested your money, as a victim you get to know what kind of curse this is. Indeed, you’re very likely forced to manipulate other people to save yourself, it’s humiliating & as shameful as it can get. In other words it’s a never ending evil cycle – Claim a new victim to not be a victim yourself. Hi Henry, thank you for the detailed review of Empower Network. I had no idea how bad they were. In particular, the fact that they retain their products after you purchase them, what a scam. I agree with you, any advertising that states â€œcomplete autopilotâ€ throws up a red flag for me too, as well as â€œNo Wussies Allowedâ€. Great review! So youâ€™re saying I can get a website going for free through Wealthy Affiliate? Yes, Empower Network is bad to the bone, probably one of the hottest scam of the year. That’s correct Wealthy Affiliate grants you free website. Not only one but two free websites – They will be permanently yours, fully functional & rank well in Google as well. No need to spend a dime to get you up & running..